Leyton Orient 2 Hartlepool United 1, 17/04/2017. Brisbane Road, League Two. Leyton Orient keep their slim hopes of avoiding relegation from League Two alive by beating fellow strugglers Hartlepool United. 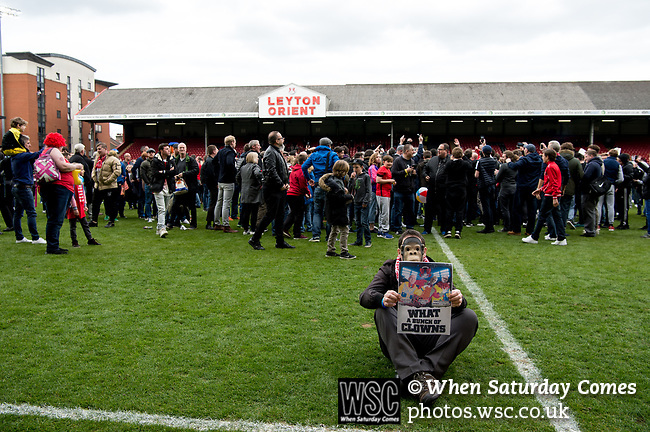 The match was played out to a background of protests against Orient owner Francesco Becchetti. Photo by Simon Gill.